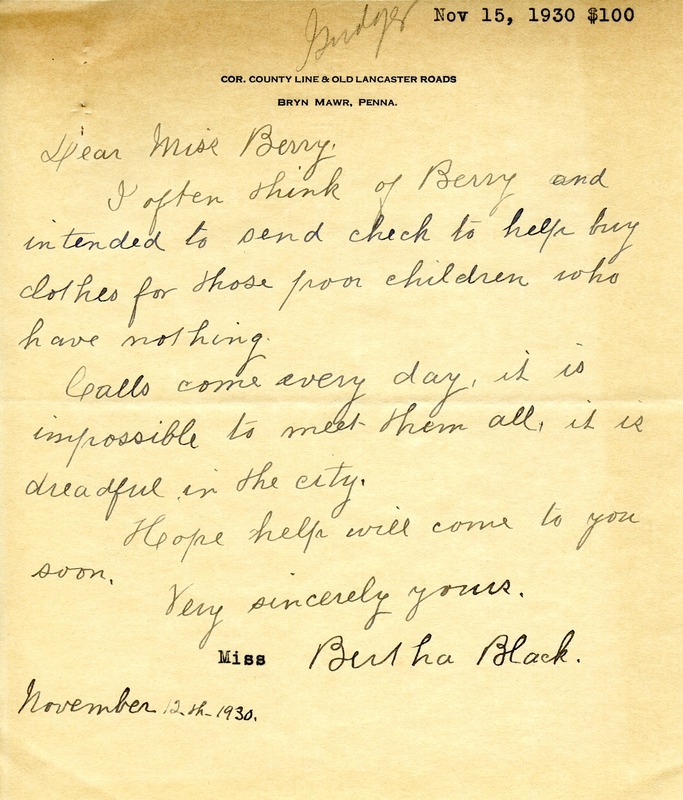 Bertha Black encloses a check to help buy clothes for poor children and remarks how dreadful the need is in the city. Bertha Black, “Letter to Martha Berry from Bertha Black.” Martha Berry Digital Archive. Eds. Schlitz, Stephanie A., Chelsea Risley, et al. Mount Berry: Berry College, 2013. accessed April 24, 2019, https://mbda.berry.edu/items/show/11827.